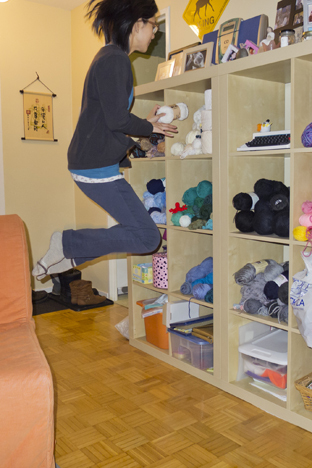 I’ve long been fascinated by Natsumi Hayashi’s levitation photos. 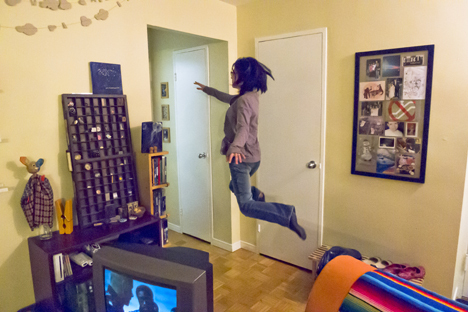 I have recurring dreams about floating around in air, and her photos just reminds me so much of those dreams. My best attempt yet! So proud of this one. Love the little clouds in the corner, and Flash Point on TV! My most recent attempt. Tea time (please excuse the bag of garbage waiting to go out…). 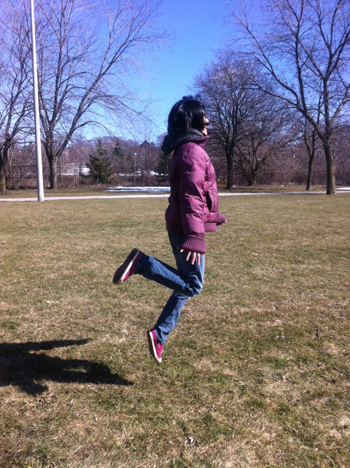 Hoping to levitate outdoors on the grass when the snow melts! Have a splendid Sunday, everyone! We’ll all float on alright. 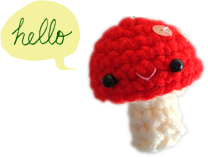 Such a fun post!! Your pictures are so good!! I think Jung would say something about the flying as a symbol for wanting to break free from constraints and limitations… but I think he would also say that what’s most important is each individuals’ interpretations of their own dream based on what’s going on in their life at the moment. It was fun looking through the Flickr link and reading that interview too! I thought it was interesting how people asked that photographer if she ever fell while taking her photos, but never asked her why she was doing it in the first place! Grown‐ups never ask the important questions do they? 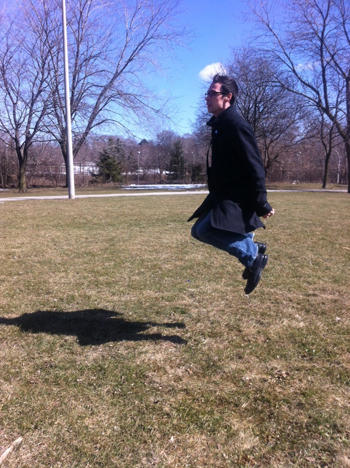 Can’t wait to see your levitations over green grass! !